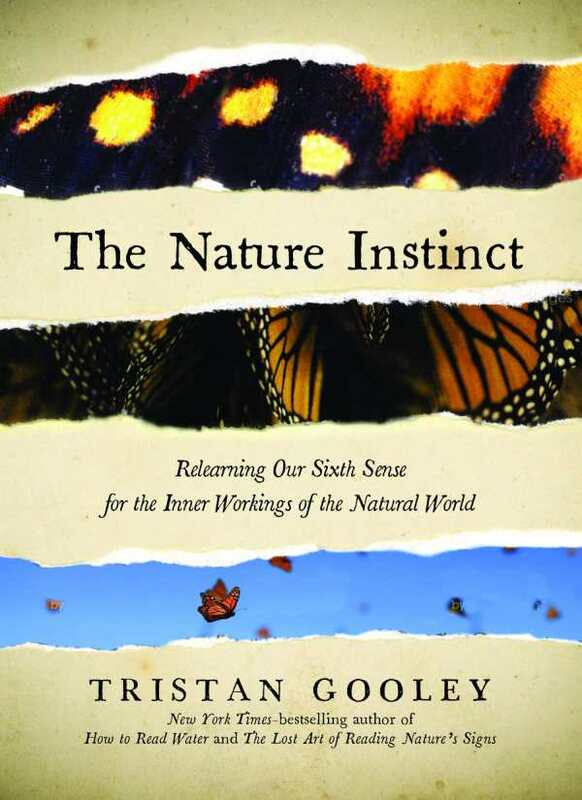 Tristan Gooley’s The Nature Instinct is an approachable scientific guide that uses observations of the sky and the wild to reteach human instincts thought to be lost to technological advancements and modern indoor living. Gooley, an expedition guide and adventurer, has vast scientific and experiential knowledge to draw from. He presents these techniques in an easily applicable way. The book is divided into topical sections, with focuses on animals and their behaviors, reactions, and habits; plants and their growth, reproduction, and habitats; and clues read in the sun, clouds, and stars of the sky. The directional growth of trees tells stories about wind patterns and weather predictions, just as the paths that deer follow when spooked tell of surrounding dangers, terrain, and animal behavior. Seeing and understanding such clues can help with navigating the wild, leading to knowledgeable protections from inclement weather, animal dangers, or even just uncomfortable bug bites. The words and ideas of historical adventurers, philosophers, and poets also contain lessons about nature; The Nature Instinct pulls from many sources to convey its various important observations. With a little practice and some time spent quietly in nature, our lost instincts can, and do, come back, the book promises. Practice noticing the shapes of trees and clouds, it encourages; within those shapes, a wealth of knowledge emerges. Shadows indicate times and seasons; a compass can be drawn using the stars. The growth of lichen on a tree can indicate directions; the bark on a tree tells its life story. The Nature Instinct is an imperative book for outdoors enthusiasts but also contains important information for anyone who spends time outside. Gooley’s book is a comprehensive guide to gaining back what was lost; it will help its audience appreciate nature and animals with a new set of eyes.